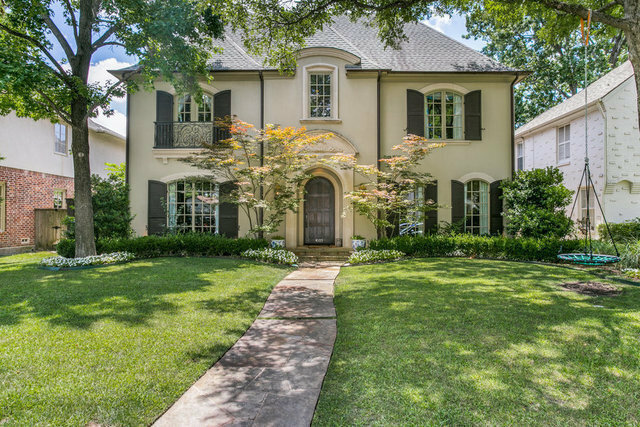 French Traditional home in highly coveted University Park.This great floor plan offers an oversized entryway, with sizable formals, stainless steel appliances, granite countertops, and kitchen island. A wine room off the kitchen for entertaining. Breakfast area and kitchen open to den for perfect family living. All bedrooms upstairs with own bathrooms. Exceptional master suite with sitting and dressing area. Huge upstairs playroom.Beautiful backyard features a pool, with covered and open patio with a newly installed putting green, a dog run, and Mosquito Nix system.